England managed to end their losing streak as they overcame South Africa 10-25 in the third and final Test at Newlands on Saturday. The game was evenly poised with both the teams competing with each other until the final 10 minutes when the red rose team controlled the match to complete a hard-fought victory. Even though South Africa sealed the series 2-1, England and Eddie Jones will be relieved to bring an end to a six-game losing streak. The home side had an opportunity to score early but Elton Jantjies kicked the penalty wide. The first points in the game came five minutes later when Owen Farrell slotted a three-pointer to take the visitors to a 0-3 lead. Both the teams struggled to make an impact in the next 20 minutes before S’busiso Nkosi was halted by Jonny May in the 31st minute and six minutes later Farrell kicked his second penalty goal to extend England's lead to 0-6 before Jantjies managed to reduce the arrears to three points with a penalty goal in the added minutes of the first half. Farrell helped England get off the block with another penalty kick in the 44th minute but Boks bounced back three minutes later when Jesse Kriel crossed over and Jantjies conversion took them to lead of one point. 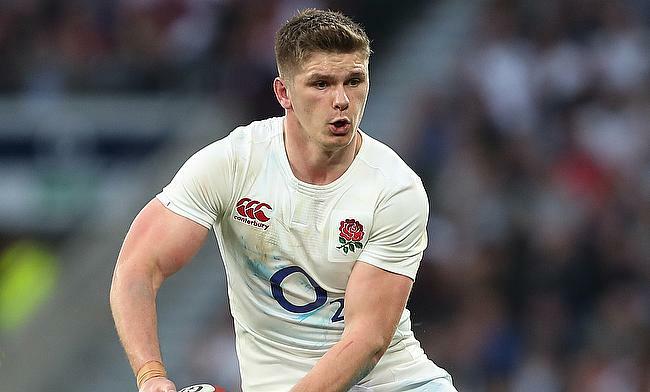 However, England reclaimed lead once again with Farrell kicking his fourth and fifth penalty kick to take the scoreline to 10-15 at the end of the third quarter. The red rose team had a five-point lead as the game kicked off into the final 10 minutes and their confidence began to show at the decisive moment and Danny Cipriani's kick found May, who touched down in the 73rd minute and Farrell followed it with a conversion and his sixth penalty kick to complete a 10-25 victory.